HE’S A NIGERIAN, earlier resident in United Kingdom where he led a criminal gang of seven members who were fully involved in fraud, scamming innocent Americans through social media platforms as the only source of their survival to continually live big Overseas. ADEYEMI ODUFUYE, a 31 year old graduate of Sheffield Hallam University in Britain was arrested in his hideout on the campus, after his indictment by grand jury for financial fraud against innocent Americans, to which he was eventually extradited. For the records, just last month, a Nigerian fraudster responsible for the theft of millions of dollars from companies in the United States pleaded guilty to fraud and identity theft charges. Odufuye, admitted to his guilt of fraud that he worked with others to trick unsuspecting employees to wire millions of dollars to bank accounts under his (Odufuye’s) control. He pleads guilty to one count of wire fraud and one count of aggravated identity theft. 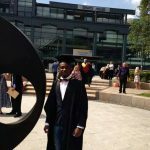 Going by this document, on December 19, 2016, authorities in the United Kingdom arrested Odufuye at Sheffield Hallam University after a grand jury indictment of him and one unknown accomplice charged with seven criminal offences. This leader of the 7-man criminal gang was arrested in his hideout on campus. They (Odufuye and his partner-in-crime) are facing a single count of conspiracy, five wire fraud charges, and one aggravated identity theft charge. The U.S. later won extradition of Odufuye and charged him in the state of Connecticut. According to the FBI, Odufuye and others targeted one company in Torrington, Connecticut, and one company in Waterbury, Connecticut. U.S. authorities arrested a second accomplice on a separate grand jury indictment in 2017. The man, a 32-year-old named Olumuyiwa Yahtrip Adejumo had been living in Ohio at the time of his arrest. The indictment accused him of one count of conspiracy to commit wire fraud and one count of wire fraud. He made his first court appearance on December 20, 2017, in New Haven, Connecticut. The Odufuye indictment include charges against a third accomplice. Authorities have declined opportunities to reveal the suspected fraudster’s name. According to the U.S. Attorney’s Office for the District of Connecticut, the suspect is still at large. Odufuye, Adejumo, the third defendant, and others worked together to defraud the Connecticut companies, the FBI discovered. Investigators followed money trails from the companies to bank accounts owned by the fraudsters in Washington, D.C., Virginia, Florida, and Hong Kong. Investigators found 36 wire transfer confirmations in Odufuye’s email inbox dated between September 2015 and May 2016. These confirmations in his email inbox added up to more than $2.1 million dollars in stolen funds. The Torrington company’s controller, unaware that he had spoken with Odufuye instead of the CEO, sent more than $500,000 in only five wire transfers. Though the FBI are still investigating the case, other suspects remain unidentified or free of charges and one suspect has either evaded the police since the indictment or worked with the police in an undercover capacity. Aggravated identity theft carries a mandatory sentence of two years in prison, while wire fraud carries a 20 year maximum sentence. Chief Judge Hall announced that the scheduling hearing would take place on March 28, 2018. John H. Durham, United States Attorney for the District of Connecticut, and Patricia M. Ferrick, Special Agent in Charge of the New Haven Division of the Federal Bureau of Investigation, today announced that two Nigerian nationals have been charged with various federal offenses stemming from a business e-mail compromise scheme. OLUMUYIWA YAHTRIP ADEJUMO, also known as “Ade,” “Slimwaco,” “Waco,” “Waco Jamon,” “Hade” and “Hadey,” 32, was arrested on a federal criminal complaint on November 16, 2017, in Toledo, Ohio, where he was living as a lawful permanent resident of the U.S. The complaint charges ADEJUMO with conspiracy to commit wire fraud, and wire fraud. ADEJUMO, who has been detained since his arrest, made his initial appearance in the District of Connecticut today before U.S. Magistrate Judge Sarah A. L. Merriam in New Haven. ADEYEMI ODUFUYE, also known as “Micky,” “Micky Bricks,” “Yemi,” “GMB,” “Bawz,” and “Jefe,” 31, was arrested in the United Kingdom on December 19, 2016. 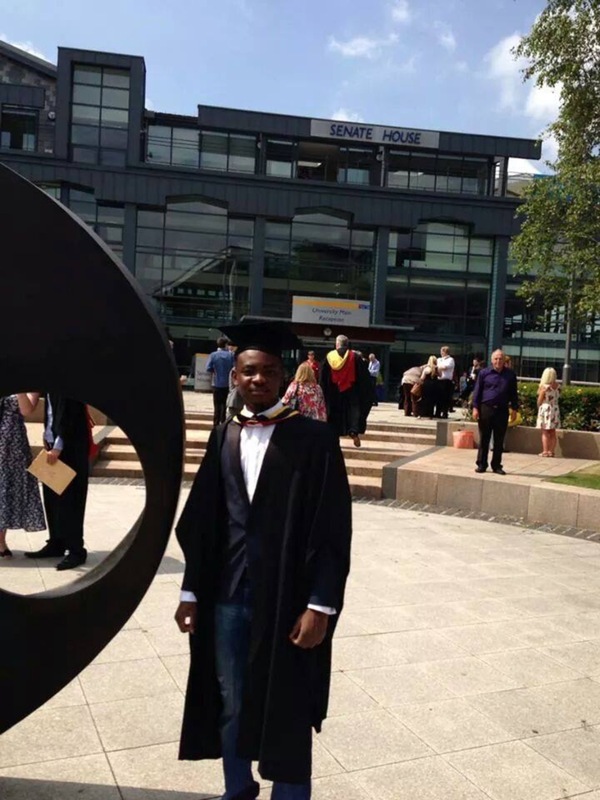 ODUFUYE had been residing in Sheffield, England, where he was a student at Sheffield Hallam University. On December 20, 2016, a federal grand jury in New Haven returned a seven-count indictment charging ODUFUYE and another individual with one count of conspiracy, five counts of wire fraud, and one count of aggravated identity theft. ODUFUYE was extradited from the U.K. to the U.S. and is detained while awaiting trial. The other individual in the indictment has not been apprehended, and his identity has not been publicly revealed. As alleged in court documents, the FBI has been investigating a business compromise scheme in which ADEJUMO, ODUFUYE and others targeted CEOs, CFOs, controllers and others at U.S. businesses using sophisticated cyber techniques to defraud the businesses of millions of dollars. As part of this scheme, in late 2015, ADEJUMO, ODUFUYE and others sent or caused to be sent dozens of e-mails to the controller of a company in Torrington, Connecticut. In the e-mails, ODUFUYE posed at the real CEO of the victim company and instructed the controller to send multiple wire transfers exceeding a total of $1 million from the company’s accounts to various individuals and purported entities. Because of these fraudulent emails, the company sent five wire transfers totaling more than $500,000 to accounts in Virginia, Florida, Washington, D.C., and Hong Kong. The investigation has revealed that ADEJUMO and ODUFUYE controlled multiple e-mail and social media accounts used in the scheme. It is further alleged that the co-conspirators sent e-mails and attachments containing malware to the intended recipients. It is alleged that ODUFUYE and others also targeted a company headquartered in Waterbury, Connecticut, as part of this scheme. To date, the FBI has identified 36 wire confirmations in e-mail accounts utilized by the alleged co-conspirators from September 2015 to May 2016, totaling more than $1.6 million. This figure does not include the more than $500,000 in wire transfers from the victim company in Connecticut. Each charge of wire fraud and conspiracy to commit wire fraud carries a maximum term of imprisonment of 20 years. Aggravated identity theft carries a mandatory consecutive term of imprisonment of at least two years. U.S. Attorney Durham stressed that a complaint is only a charge and is not evidence of guilt. Charges are only allegations, and the defendants are presumed innocent unless and until proven guilty beyond a reasonable doubt. This matter is being investigated by the Federal Bureau of Investigation and the Connecticut Cyber Task Force. The case is being prosecuted by Assistant U.S. Attorney David T. Huang. U.S. Attorney Durham thanked the Department of Justice’s Office of International Affairs, the United Kingdom’s National Crime Agency, and the United Kingdom’s Metropolitan Police for their assistance in this case. To contact the Connecticut Cyber Task Force, please call the FBI in New Haven at 203-777-6311.